Is it just me or did we wake up about a week ago and literally overnight autumn had turned into winter? Gone were the beautiful crunchy leaves that looked so picturesque, instead being replaced by puddles so large they resemble a sinkhole. Gone are the lovely sunsets and sunrises, and instead we have darkness when arriving at work, and darkness when leaving. Plus we’re facing wind that sounds like it’s about to knock houses over and rain that ruins perfectly styled hair within seconds. Yes my friends, autumn has gone. Winter has arrived. So, that means that once again it’s time for our clothing choices to change. We can’t get away with a light jacket anymore, instead needing something thick enough that it would protect us from nuclear fallout. But the biggest change for me is footwear. Now I have the school run to do, I can’t get away with toddling along in my work heels. Instead, I know it’s time to face the truth – the wellies need to come out. And thankfully for us, we now have so many choices when it comes to colours and brands. Long gone are the days of khaki green or khaki green as the only option. Now we’ve got all sorts to chose from, and far from being classed as taboo – they are now a winter fashion must have! So, how can we rock the wellies? Firstly, and best for those who rest in the safety of darker colours – if you go for the black ones or darker colours, then team them with a pair of wellie socks that fit over the top and will break up the bottom half of your outfit with a nice neutral tone. Layering isn’t ever going to go out of style, and this includes with footwear and your bottom half too. Another way for rocking the darker colours like grey, would be to use the rest of the outfit to bring in some colour. 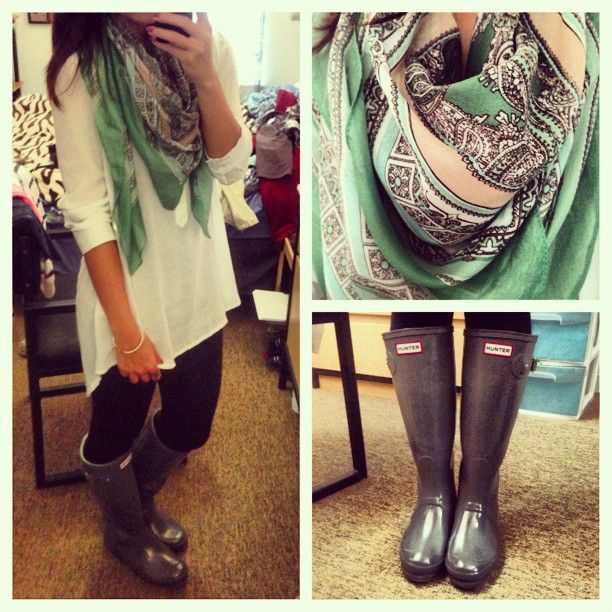 Team with a scarf that matches the grey but also brings in a pop of colour and just adds that lovely wintery feel too. You can’t go wrong with grey either because it goes with all coloured bottoms – black, blue etc. 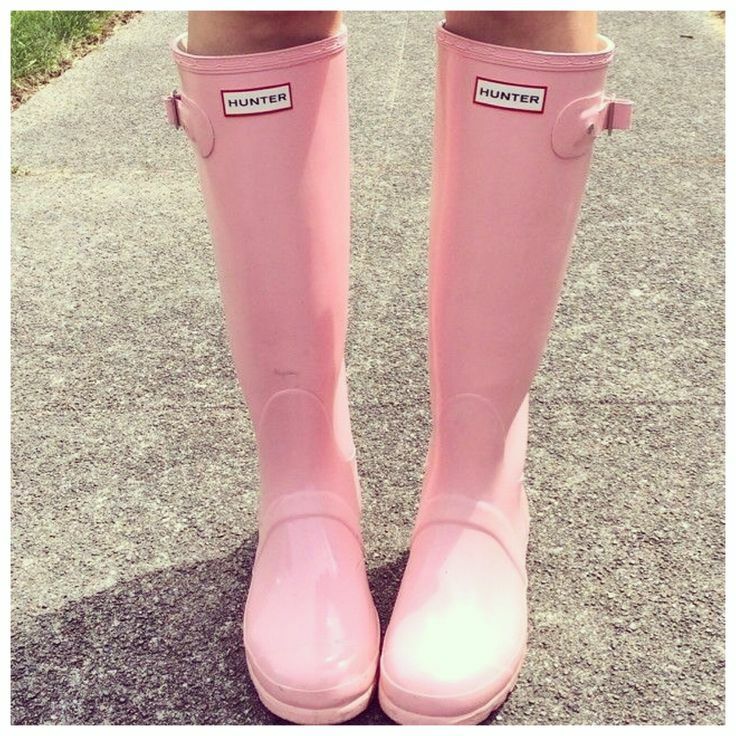 You can even wear wellies when you need to wear something sparkly! I’m a real girlie dresser, so I love things with sequins and sparkles. Just because you need to wear wellies, doesn’t mean you need to forgo your entire sense of style. Add a pair of skinny jeans and stick to dark coloured boots and voila – chic, classy and practical for those wet days. Use the colours of the boots to allow you to wear staple shades like black in a gorgeous little dress with black tights and layered cardigans, scarfs etc to keep you warm. 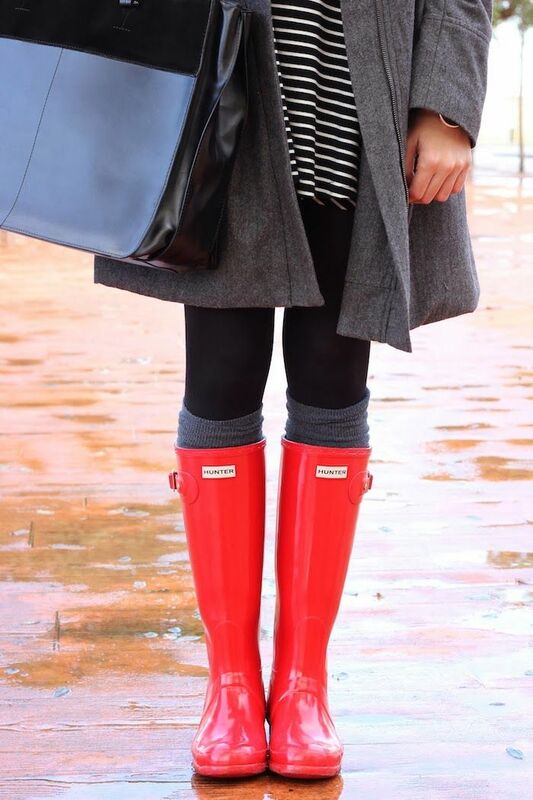 The pop of colour will make you stand out and really draw attention to how well you can rock a pair of wellies! Personally I spend a lot of my life in jeans. 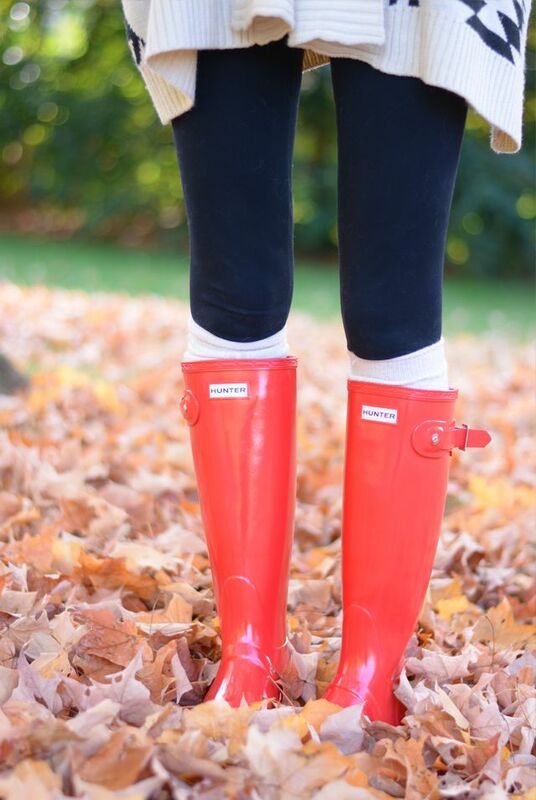 So to rock wellies in jeans, pick the bright and colourful boots. That way you’re offsetting the jeans – no matter what colour or shade they are. Use your accessories to match – scarf, bag, jewellery – and coordinate a whole outfit around your boots and accessories. And don’t forget to wrap up warm with a thick winter coat. Now, the pastel colours are gorgeous, but are they winter worthy? I think so! 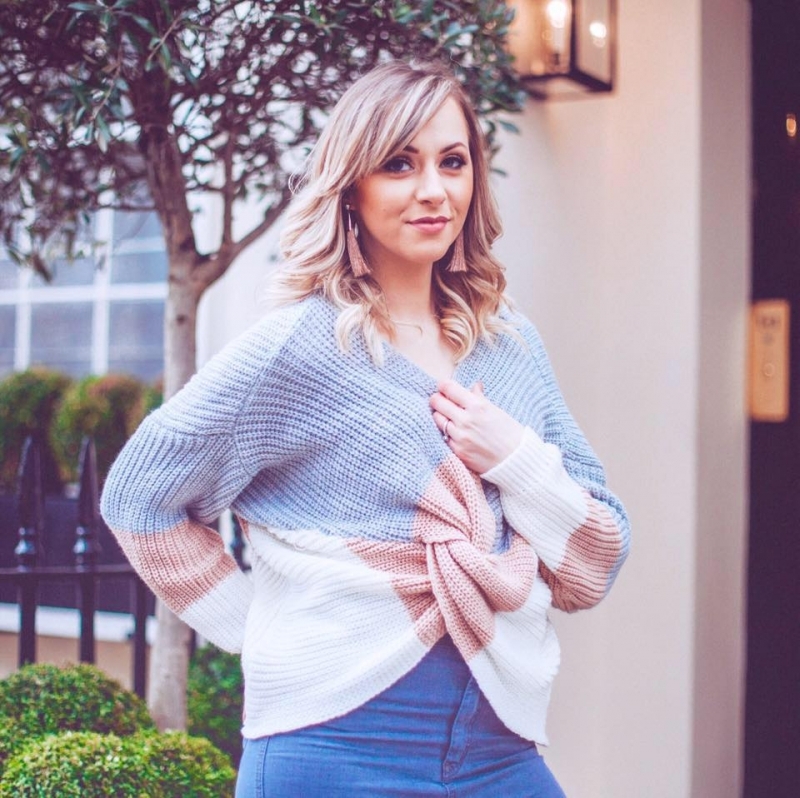 My favourite pastel shade would always be baby pink, so using that as an example, team them with light coloured jeans and a matching top or jumper. Keeping the jeans on the pale side won’t make the difference between denim and pastel so large, and will be easier on the eye…so no case of feeling like your mismatched. Keep your top half matching and you’ll rock the pastel boots easily. So, there you have it! It’s all about the colour boot you choose – but it’s easy to rock the wellie look this winter. Some boot colours need to match the clothing and some need to match the accessories. And some need to be worn as the only colour in the outfit, to take all the attention. Whichever style, brand, colour or pattern you chose. 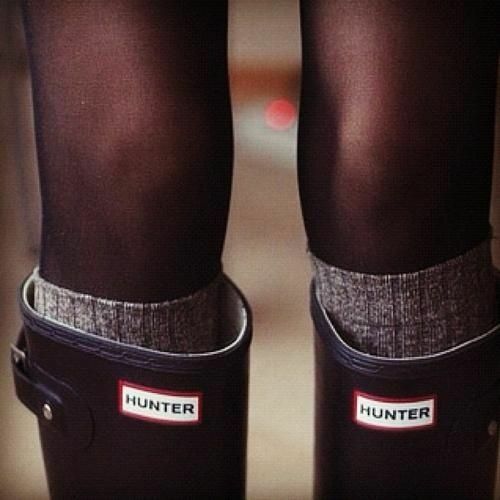 This just proves that you can rock the wellies this winter. 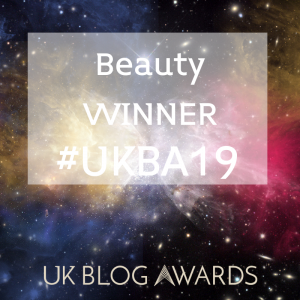 Latest In Beauty Advent Calendar Unboxing!